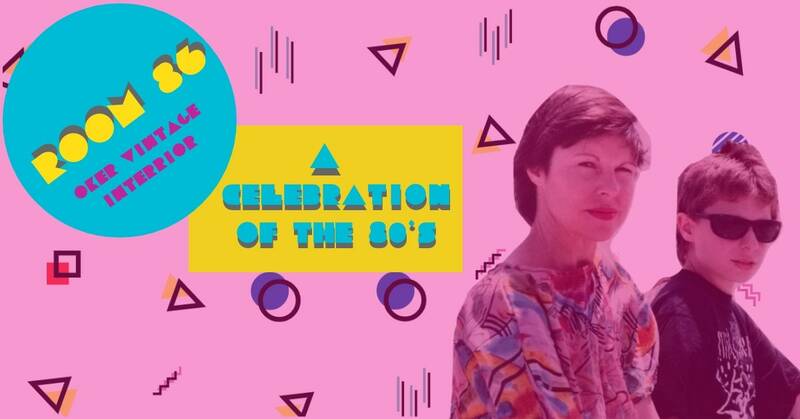 How 80's can you get? 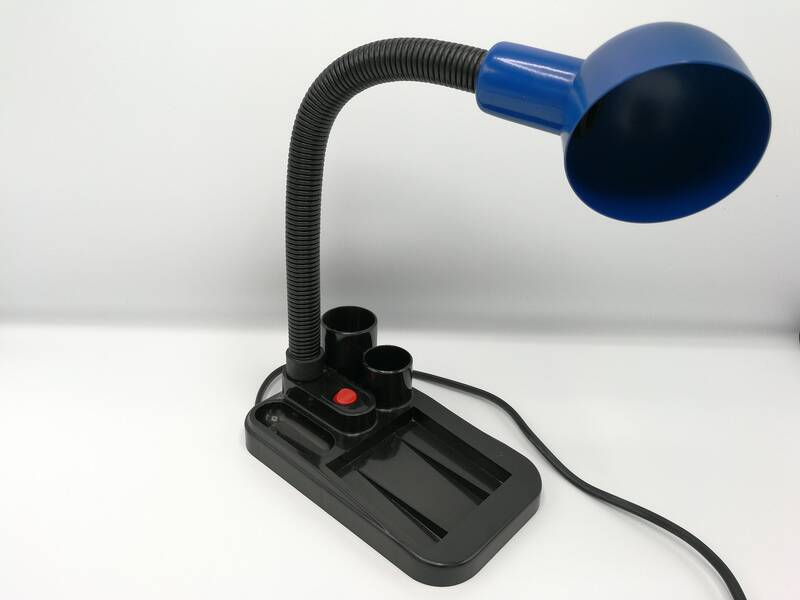 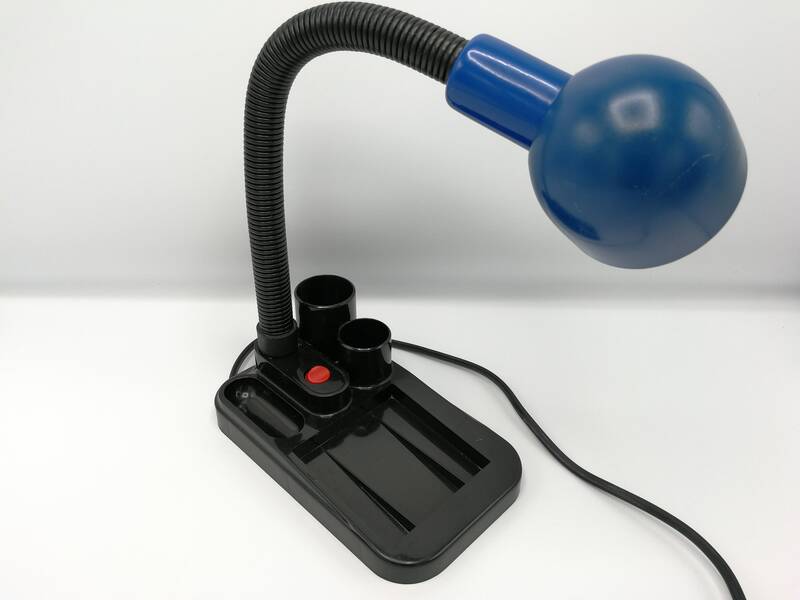 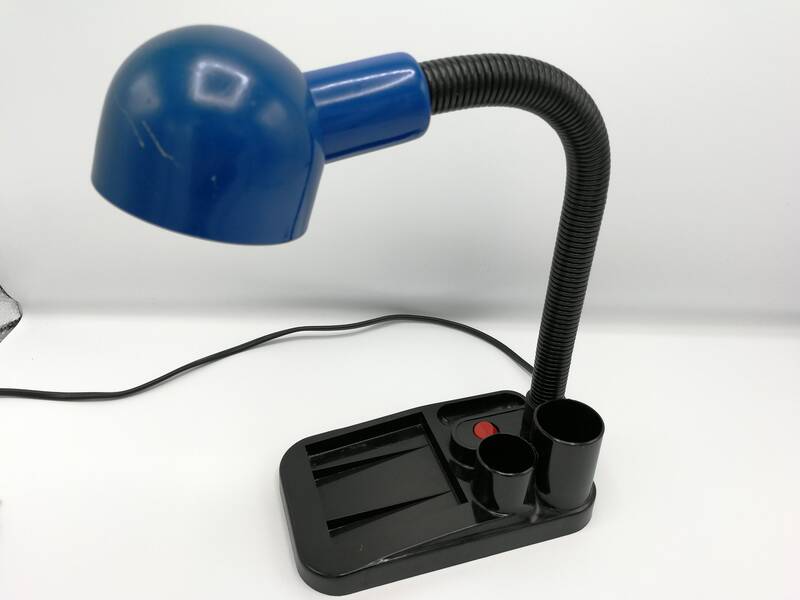 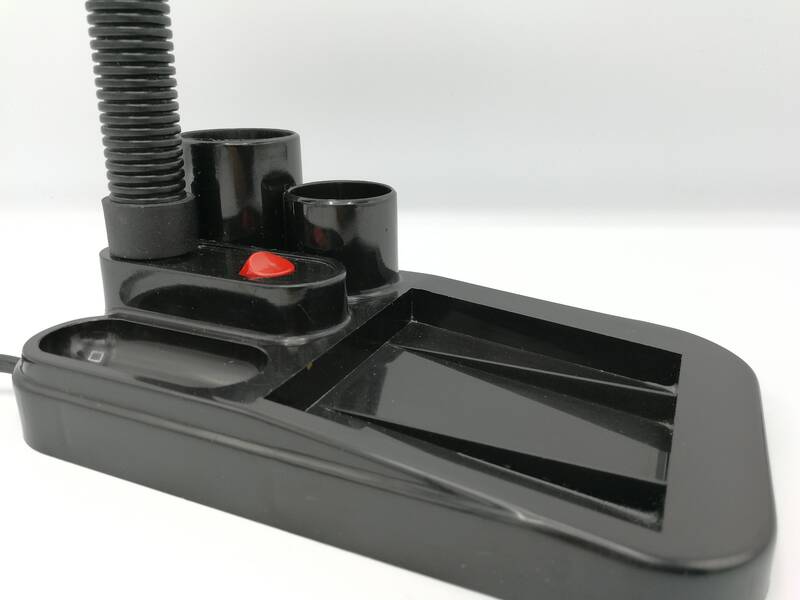 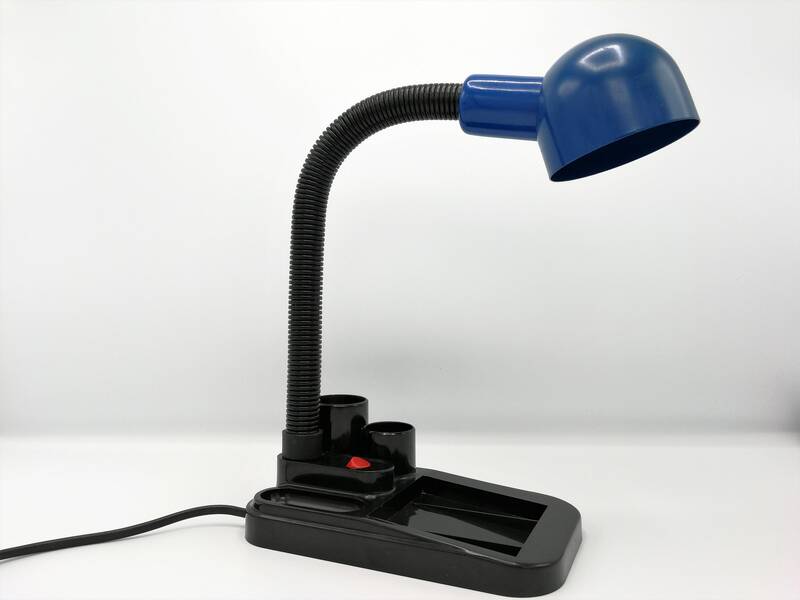 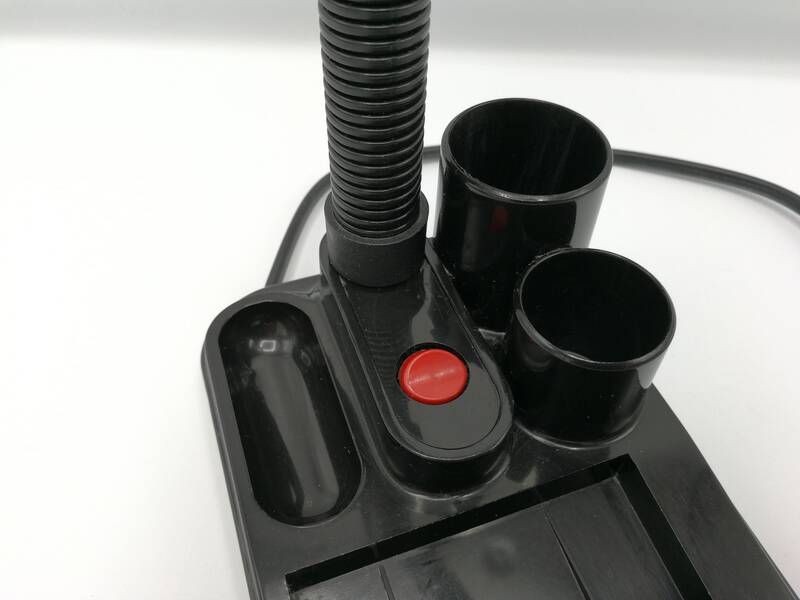 This vintage 80s pencil holder desk lamp has the right colors and the right nostalgic shape. 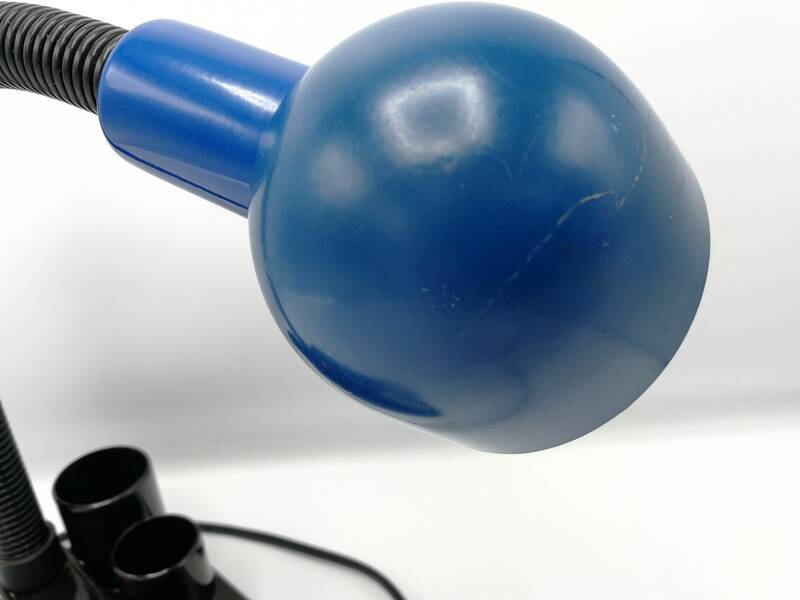 Some paint wear on the blue metal hood, but in overall great vintage condition.